English advice and tips for English learners to help them speak and communicate better in English. Skypeclass.com is here to help you speak better just like a native. 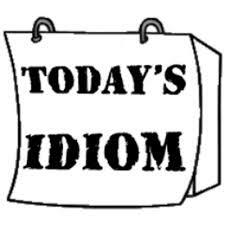 Idiom – couch potato: someone who spends too much time watching TV. “You’re a real couch potato, Maria. You need to get more exercise!” Visit the skypeclass Student Zone to practice more idioms and watch a selction of idiom videos.